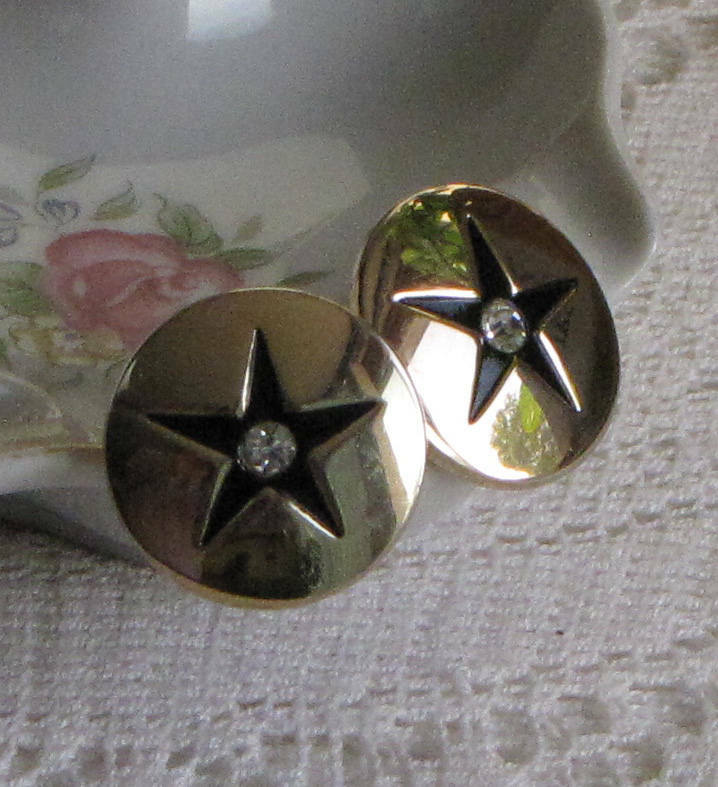 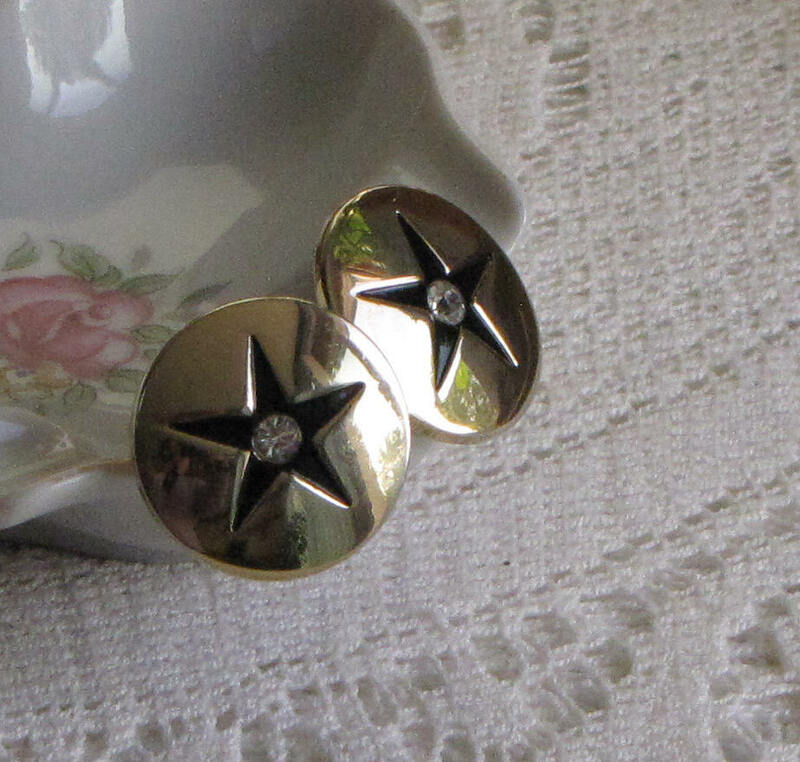 A pair of Swank brand gold toned base metal cuff links with stars and a rhinestone. 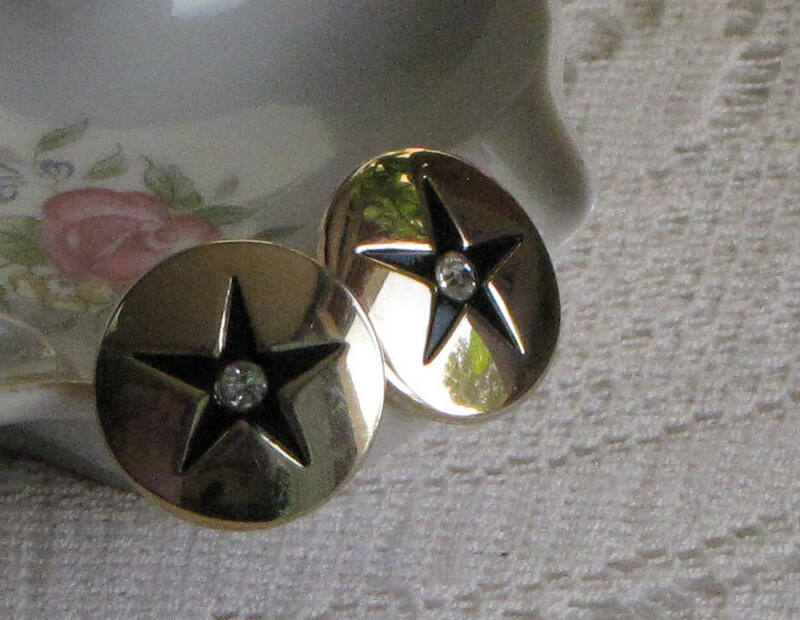 In very good vintage condition; signs of wear and use. 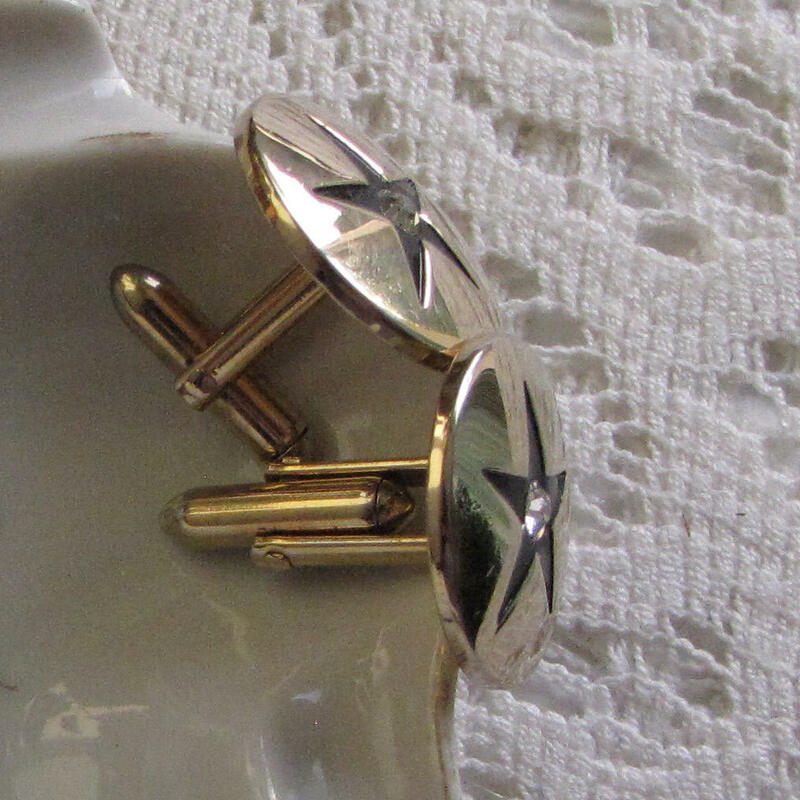 The cuff links measures .75 of an inch in diameter and 1-inch long. 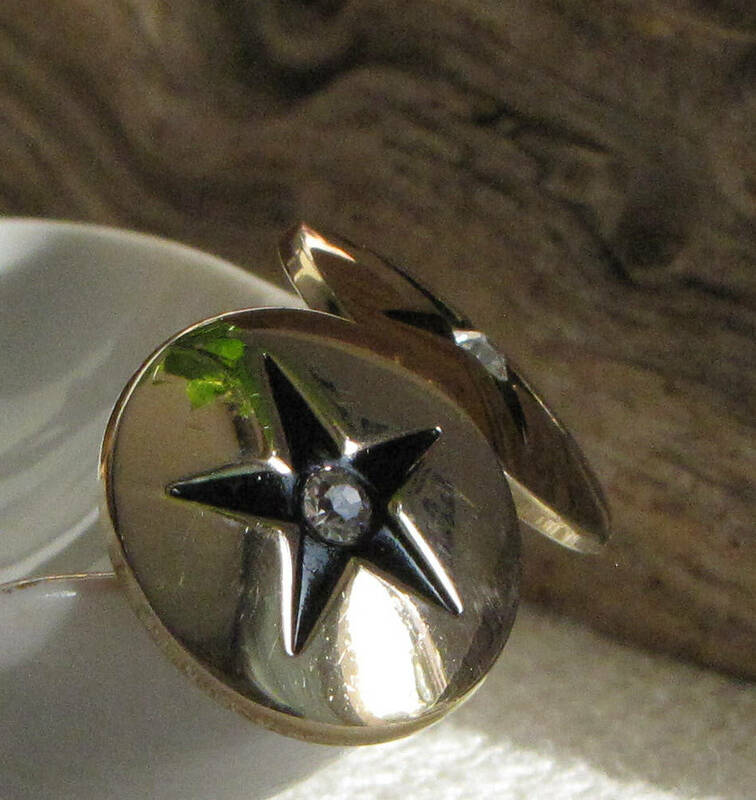 Swank was founded in 1897 as a maker of women's costume jewelry. 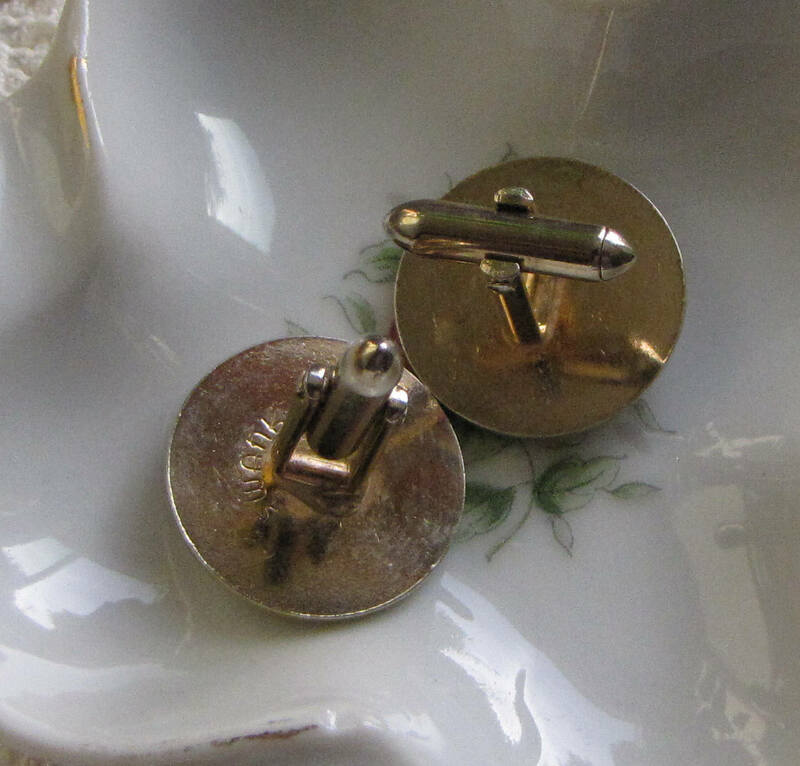 In 1908 they expanded into making jewelry for men so began their journey into cuff links and tie clips. 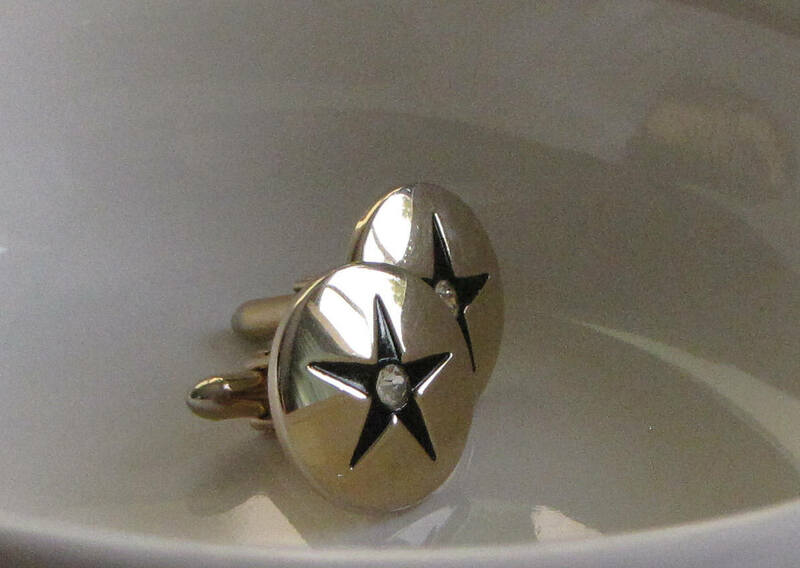 The Swank name was hallmarked on their jewelry from the late 1920s. 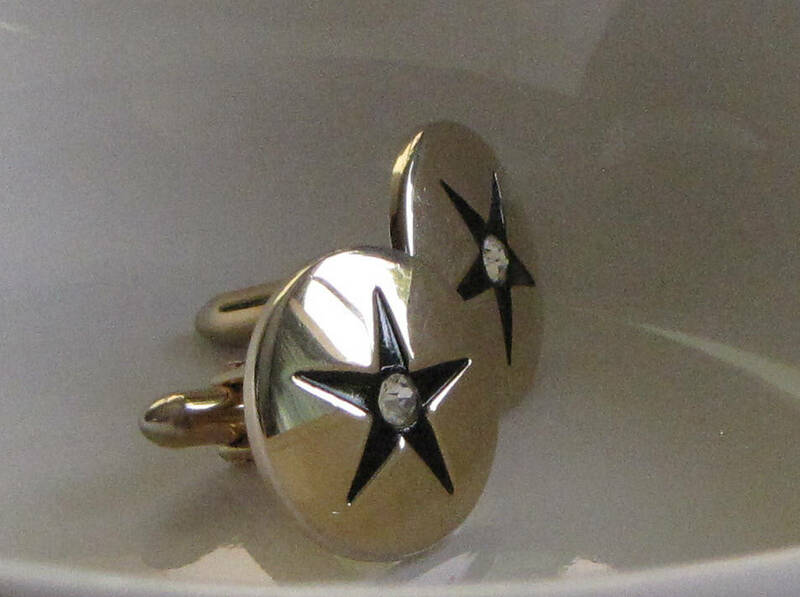 Most jewelry you'll find marked Swank are from the 1950s and 1960s. 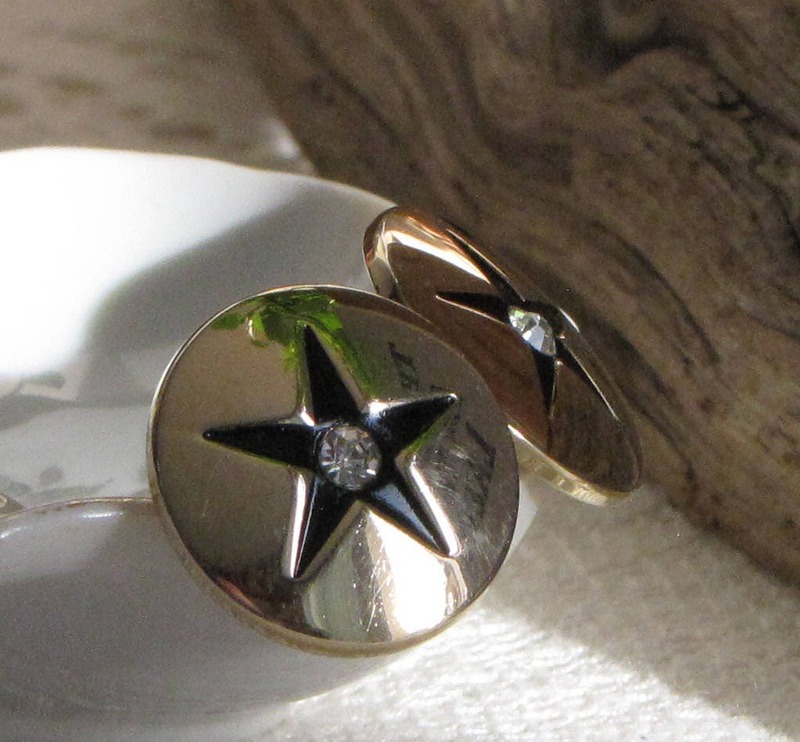 Most Swank jewelry is made of gold or silver base metals, but the quality in design and build is well known.